"The Woman at the Well".. 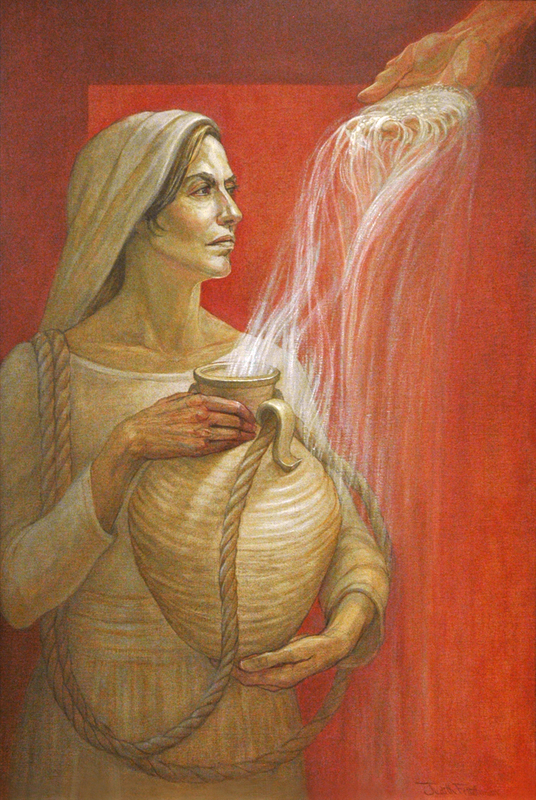 The encounter of the Samaritan woman and Christ at the well became a life changing event for this woman. When He offered her fresh, living water which would provide eternal life, she began to understand the possibility that He might be the Messiah and hurried back to her village to tell her story.